For many low-volume Kenyan farmers, the only source of information about the market rate for crops comes from the very people who are trying to buy them. The lack of pricing transparency means that farmers don't always get the best deal. MFarm seeks to solve this by providing up-to-date market prices via a mobile app and SMS, direct to farmers. 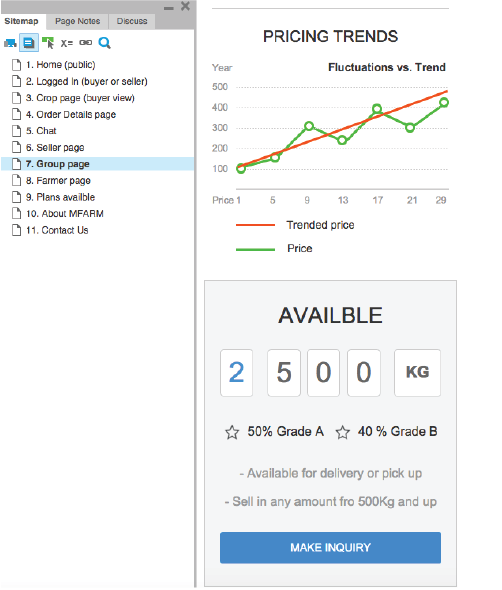 It also connects farmers with buyers directly, cutting out the middlemen. 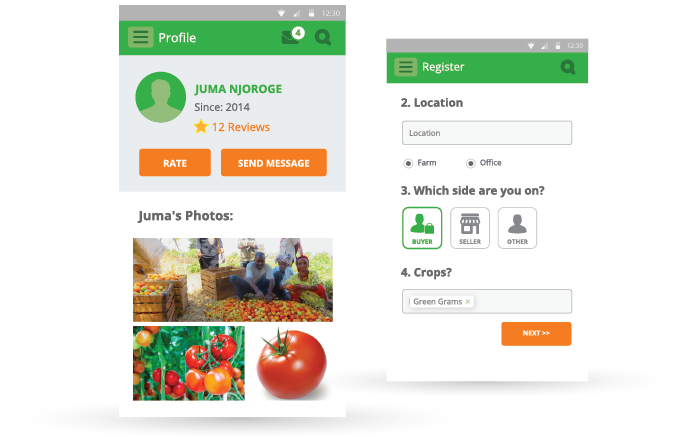 Creating a mobile app for farmers to have a trusted selling experience with buyers was critical. Transparency would be gained with trust. This came down to providing sellers and buyers a collaborative selling and buying experience, all on a mobile device (or via SMS). Experience Dynamics conducted 6 video conference Design Studios, a Lean UX technique involving collaborative sketching sessions with the Mfarm team in Nairobi. Together we created whiteboard sketches mapping out a flow for the mobile app experience. 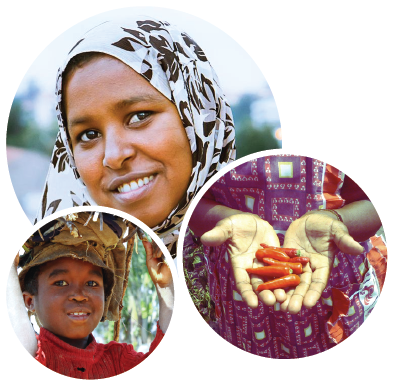 Providing a culturally sensitive experience emphasizing trust in buyer-seller exchanges, and one that subsistence farmers in rural Kenya would feel comfortable with, was essential. Experience Dynamics created a responsive wireframe (a clickable prototype that adapts to mobile or desktop view). The prototype was used to explore scenarios and to flush out issues and problems in the design concept. Capturing the delicate trust issues in designing for pricing transparency user experience was critical. The interface would replace real-world transactions where eye contact and voice traditionally forged trust. Next Experience Dynamics created visual designs for Android (the dominant operating system in Kenya). The visual designs showed what the app might look like. Mfarm was able to use the designs to show farmers as well as investors to help fund phase 2 of the project. 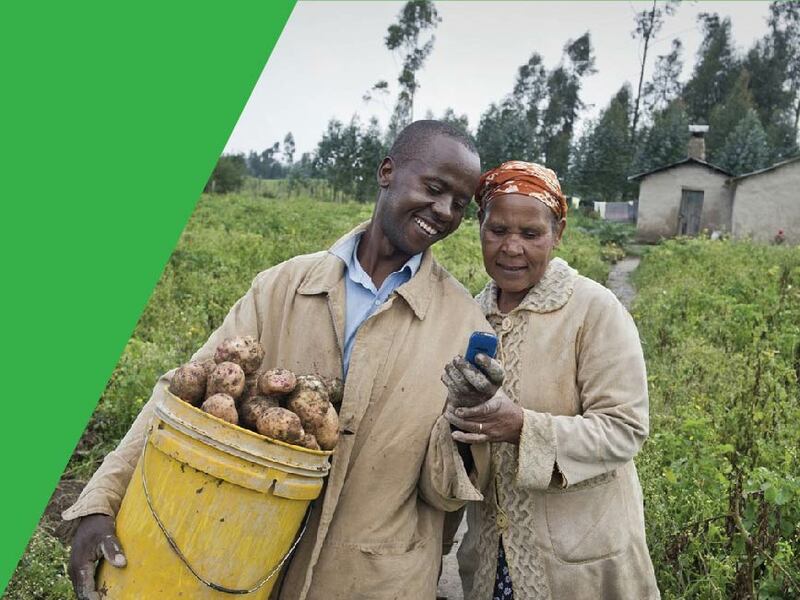 Mfarm’s mobile app is currently being tested with farmers in the field and once validation from user feedback is gathered, mobile development will begin.